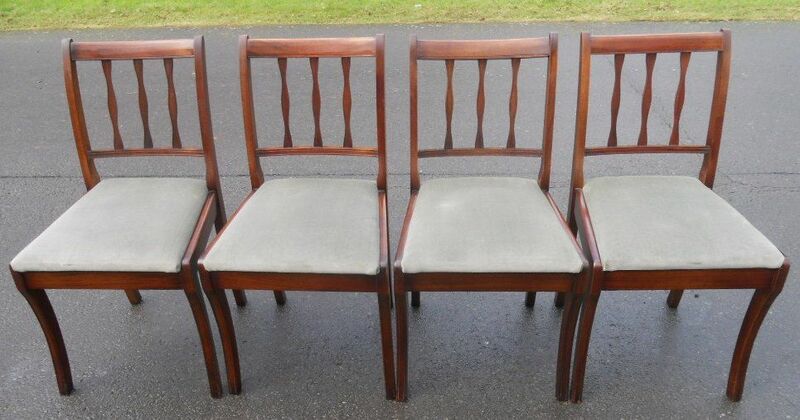 Set of six mahogany framed dining chairs. 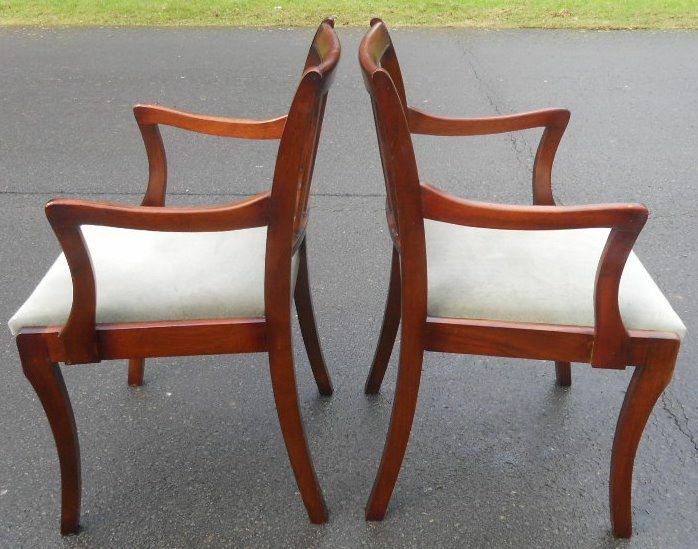 Two carver armchairs and four matching single chairs. 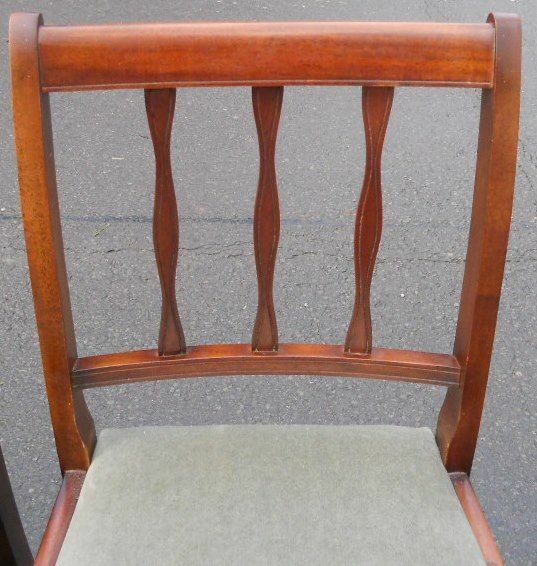 Having upholstered seats in a later green coloured velour style fabric having no rips or tears.